Huawei has been making fitness trackers and smartwatches for a number of years, but it seems the company may also be looking into augmented reality glasses that combine with its other wearable tech. 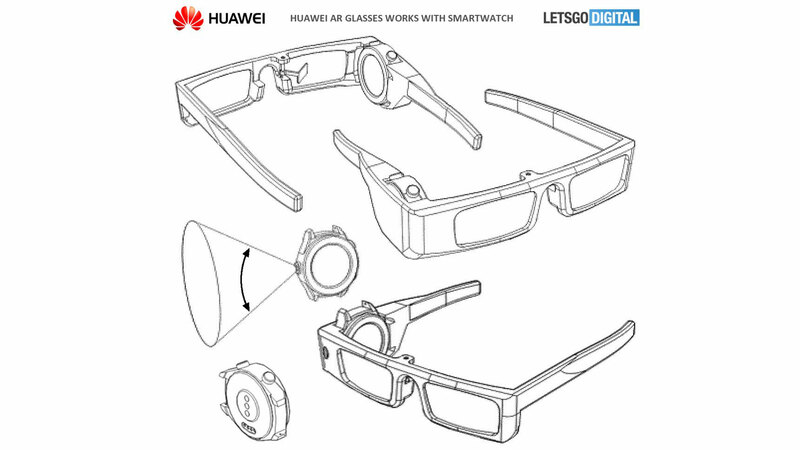 According to a patent filed by Huawei at the World Intellectual Property Organization (and spotted by LetsGoDigital), the company is experimenting with a pair of AR glasses that are lightweight but only work when you insert your smartwatch into them. The glasses themselves don't include a camera, display or a microphone. Instead, all the tech is featured in the smartwatch that slots into the side of the glasses when you're looking for an AR experience. What even is Augmented Reality? A camera in the side of the smartwatch would then record data that the display of the watch would show. The display faces in toward the headset with a mirror so you can see it when looking straight ahead. It sounds quite complicated, and it would be interesting to see how a pair of AR glasses you need to set up each time for the experience would work in a real life setting. It's also reminiscent of the company's own TalkBand products that act like fitness trackers on your wrist, but you can take them out of the case and plug it into your ear to use it as a Bluetooth earpiece.